If you want the true Southern experience in Charlotte, North Carolina, then you must visit the NASCAR Hall of Fame. Even if you don’t know one thing about stock car racing, you will still enjoy every minute of this high-tech museum that puts you right in the fast lane. The National Association for Stock Car Auto Racing (NASCAR) is a huge part of my state’s heritage. During prohibition in the mountains of North Carolina, moonshiners would outrun the police in their cars. As this rogue racing caught on, mechanics did more to make the cars faster, and NASCAR was soon born. It’s fitting that Charlotte is home to the NASCAR Hall of Fame, which opened in 2010, because many race car teams have their offices in the surrounding area and call North Carolina home. The NASCAR Hall of Fame, located in Uptown Charlotte on East Martin Luther King Boulevard, is hours of entertainment. My family was at the museum for over three hours, and we don’t even follow NASCAR. That says a lot about the experience right there. It was a fascinating, full-throttle experience, and even my 3-year-old daughter loved every minute of it. When you arrive, you get your own HARD Card, which is just like what the drivers and team personnel get each week for credentials on the track. You pick your own personal race car driver to lead you on your tour. I chose champion driver Jeff Gordon as my personal guide. Throughout the tour, Jeff told me some inside facts about the museum. The hands-on experiences are amazing. My son got to change a tire, I held a gas can on pit row, and both of my children rode with their dad in a race car simulator. Since I wrecked my car during qualifying, I decided not to get in a real race car. We headed to victory lane with a lot more knowledge, and respect for this $1 billion motorsport industry. When you get home, you can go to the museum’s website, and view your scores and experiences through your keepsake HARD card’s password. The museum is open daily from 10 a.m. to 6 p.m., and children under 4 are free. Some experiences do cost extra on top of a regular $19.95 adult admission price, and as a result, the museum has a variety of ticket packages for the ultimate experience. For more information, visit http://www.nascarhall.com/plan-a-visit. Across from the NASCAR Hall of Fame is a traditional, Southern home-cooking restaurant called Lola’s. We stumbled upon the restaurant by luck. Yes, I eat a lot of fancy cuisine in my travels, but I’m really a down-home Southern girl at heart, and I love the South’s signature “a meat and two vegetables” plate. Lola’s, located at 300 South Brevard Street, offers weekday meat-and-veggie specials. I couldn’t resist ordering meatloaf, mashed potatoes, cabbage, and Southern corn bread. Delicious! Unfortunately, I missed fried okra day, which is Thursday. Guess I’ll have to plan another trip to the Queen City. Lola’s is open only for breakfast and lunch during weekdays from 7 a.m. to 3 p.m. The daily lunch special costs $7.95 to $9.50 a plate. After celebrating in victory lane, check in where the drivers do. The Ritz-Carlton Charlotte is within walking distance of the NASCAR Hall of Fame, and that is where my family parked our car for the weekend. This eco-friendly boutique hotel, located in the heart of uptown Charlotte, has rooms that will make you swoon. 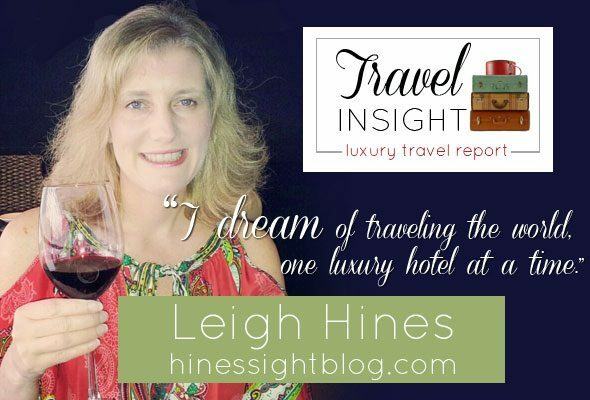 I’ve got the details of our stay in my latest “Pack Your Bags” segment on the Hines-Sight Blog, and the hotel’s signature chocolate afternoon tea is something you do not want to miss. Nothing beats lounging in the indoor pool overlooking Charlotte’s city skyline. The hotel’s signature restaurant, BLT Steak, which stands for Bistro Laurent Tourondel, is one of the hottest restaurants in town. 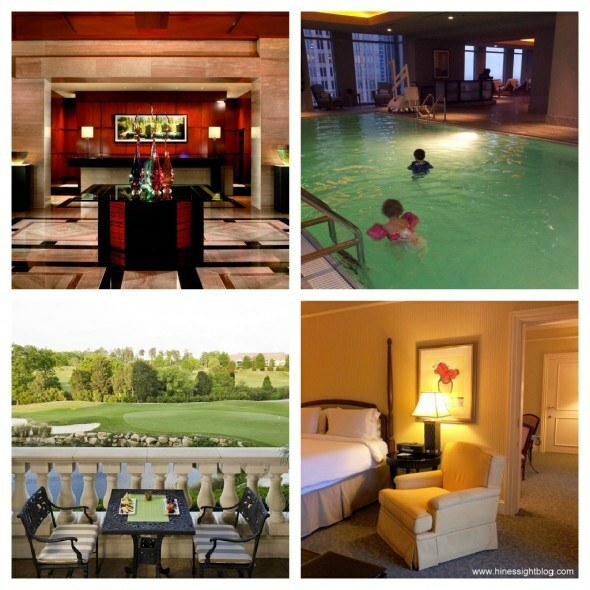 For room rates and packages, visit Ritz-Carlton, Charlotte. If golfing and a resort-like atmosphere are more your speed, then a check-in at the Ballantyne Hotel and Lodge would be divine. This award-winning Starwood Luxury Collection property is located about 20 minutes from uptown Charlotte. A day at the hotel’s spa will leave you renewed, refreshed, and relaxed. Guests can also enjoy tennis and golf lessons from the Dana Radar Golf School. The Ballantyne area is close to great restaurants and shopping. The hotel is also home to the award-winning Gallery Restaurant. Be sure to order the coconut cake! For room rates and packages, visit Ballantyne Hotel and Lodge. Due to its mid-Atlantic location, getting to Charlotte is easy from anywhere in the country or the world, hence its nickname “the International Gateway to the South.” Nearly 60 percent of the country’s population lives within a two-hour flight of Charlotte, North Carolina, and 6.9 million people live within a 100-mile radius. It’s a great city in North Carolina to visit with hotel accommodations for all budgets. To get started on your vacation planning, visit the Charlotte’s brand new 2013 vacation guide.